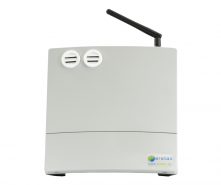 The Aretas dB noise monitoing system is an easy to install, wireless system that displays data online and sends customizable alerts via text message or email. Secure cloud based data allows decision-makers and maintenance staff to monitor dB levels from anywhere at anytime. The dB monitor has a detectable frequency range of 50 to 100 dB. 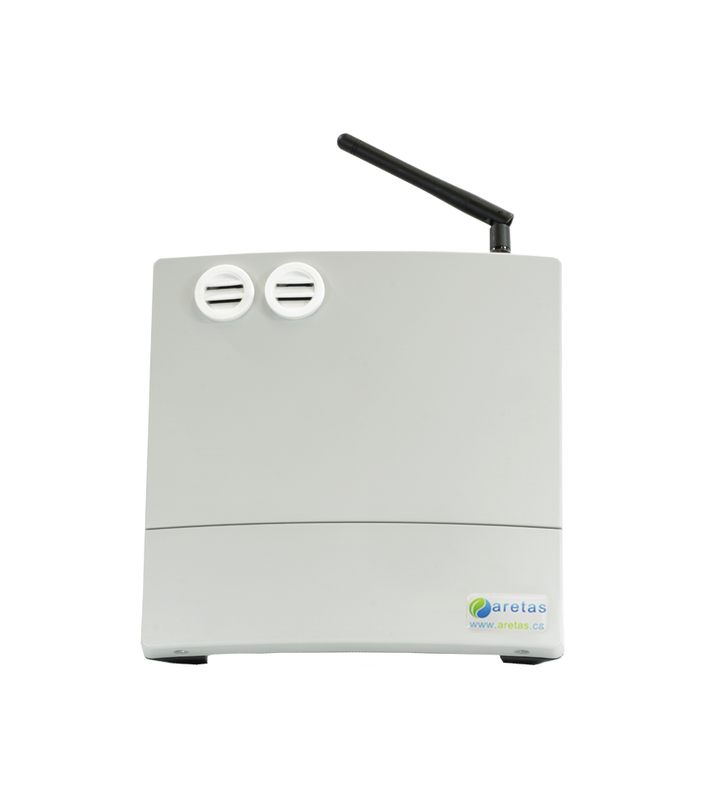 Its functionality can be expanded to include sensors that monitor other gasses, such as CO, NO2, O3, and VOC. The dB detector comes standard with Temperature and Relative Humidity sensors offering more in depth data as well potential energy-saving and money-saving opportunities. The graph shows a 24 hour sample of noise in an office environment. Why measure workplace decibel levels? OSHA requires, “that employees be placed in a hearing conservation program if they are exposed to average noise levels of 85 dB or greater during an 8 hour workday” . “The use of hearing protection devices should be considered a temporary measure only. Implementation of successful noise control will reduce the ongoing costs of a hearing conservation program in the long run.” WorkSafeBC . 1. “Monitoring noise levels non-mandatory informational appendix” Occupational Safety and Health Administration https://www.osha.gov/pls/oshaweb/owadisp.show_document?p_table=standards.... Accessed May 6, 2013. 2. “Guidelines Workers Compensation Act” WorkSafeBC, G7.6-1 Investigating controls https://www.worksafebc.com/en/law-policy/occupational-health-safety/sear.... Accessed May 6, 2013. At no additional charge most of our monitoring solutions include temperature and humidity monitoring to determine if energy savings opportunities exist allowing you to offset the cost of dB and other monitoring needs.